We heard a lot of people saying that The Legend Of Zelda had a positive influence on them. Some others admit it completely changed their lives. At least, it did work that way for me. But does The Legend Of Zelda really change you or is it simply revealing your true self? That kind of change or self realization happened to me in some ways. Obviously, it isn’t the case for everyone but I’d like to share my own story – and feel free to do the same. But the point is – I began to feel as being myself, somehow, even though I couldn’t explain it. I enjoyed it so much that I would have liked this world to be real. Possibly because real life was not going well for me. Of course, it’s a video game, it’s just fiction – but still, I believe it helped me. I didn’t realize how simple things could be as rewarding as things that look important. It helped me develop my personality – or as I said – simply reveal my true motives in life. 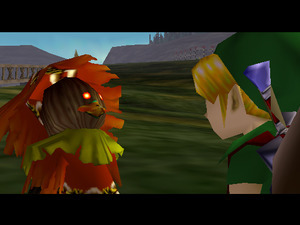 The Legend Of Zelda (especially Majora’s Mask) taught me what real love is, or real friendship (I’m serious). These are hardly seen in today’s real life. That could be explained by the fact that people focus too much on what seems to be important when actually the most important things are more simple than anyone can imagine. 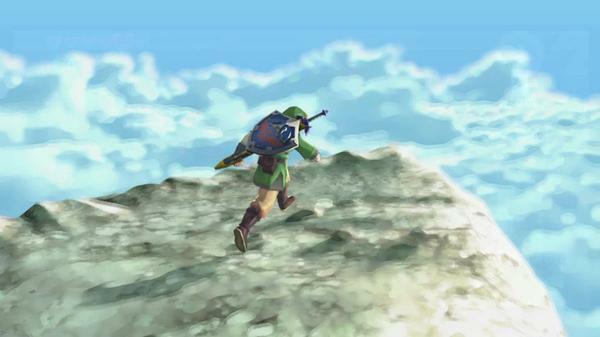 Is The Legend Of Zelda complicated to understand? Not at all as you guys know, the main story is pretty simple. In fact, the entire idea behind The Legend Of Zelda is simple. The good defeats the evil. 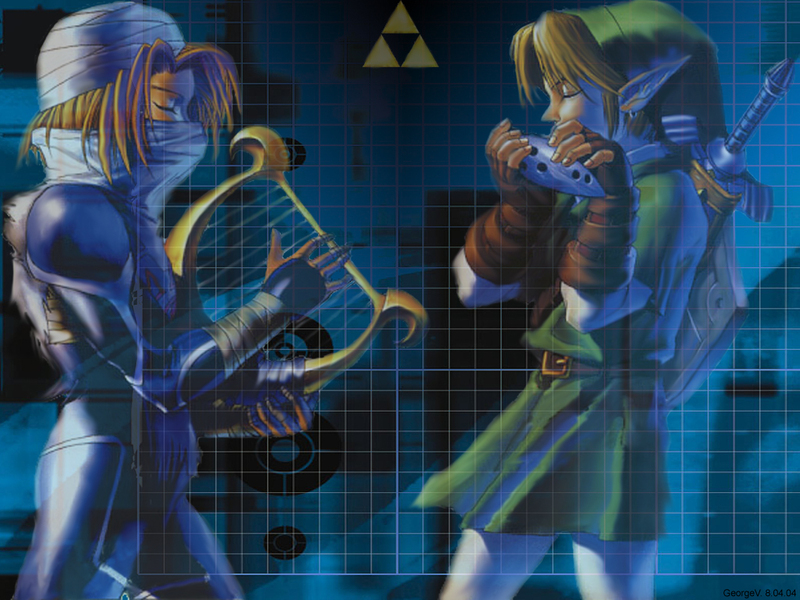 Without evil, good wouldn’t exist – but how is it that we love to ban evil in every single Zelda game? You know, I always feel like the bad guys in Zelda are good bad guys – haha. That may be because we humans seem more cruel…just saying. But anyways, here are some facts about me: I am a person who likes animals, I like to go outside, breath air, walk in forests, enter a giant tree and kill spiders – yep I’m kidding, I don’t enter giant trees – but I do enjoy exploring in nature. Not sure if this has anything to do with Zelda but there’s one thing I’m sure though. I don’t kill spiders because I find them awesome BECAUSE of The Legend Of Zelda games even though Link kills spiders…funny isn’t? 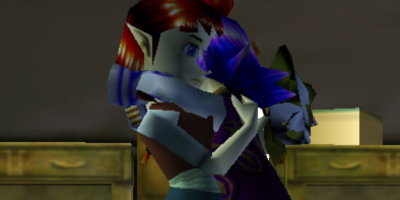 So, to explain more about love, I like to compare it to Anju and Kafei’s relationship in Majora’s Mask. Yes, we all know. Everything seems so perfect in Zelda. It’s like their love is eternal somehow – nothing can stop it, not even death (or the Moon – heh heh). You know, the characters always seem to be of help. In contrast with real life, where we mostly want to achieve our own goals and forget about others. Sometimes we hurt people without knowing it and sometimes we feel bad for hurting others. The better is when you know it and acknowledge your mistakes – obviously. This is where courage comes into place. Do you live in the past? Or the present? Even though Link travels through time and all sorts of dimensions, he still lives in the present moment. That means he’s going to do everything possible to make things better – right now – whatever the situation – whatever the obstacles. This fictional character is an example of pure courage. Nothing can stop him. Zelda on the other hand, is pure wisdom of course. 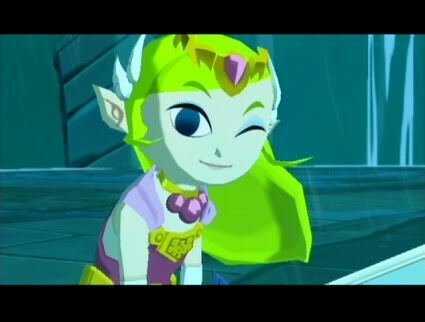 I like to talk about Zelda in The Wind Waker because I think and I believe many will agree with me that she is probably the most awesome Zelda in the series due to its character development. She is a pirate who likes her role as the leader of the crew, and therefore wants to keep her role. So, she’ll act a bit like she doesn’t care about Link and his mission. Obviously she is hiding a bit of her personality and her true self in that matter. Only later in the game, she realizes her duty. She doesn’t become “good” – she already is, she just doesn’t know her truth yet. Just like she doesn’t know she is Zelda. The thing is, most people haven’t looked into themselves to find out how they really are, and what they really want. Of course, everyone wants to be happy, explore – and be free! That’s what The Legend Of Zelda is all about. It means freedom. Think yourself as nothing and you will have everything to give to others. So this is just a quick explanation of how I define The Legend Of Zelda. I could talk a lot more but I lack English vocabulary so I don’t want you to be too bored – ha! Anyways, this is how I developped my passion for truth and it certainly had an impact on my life. Funny, how life goes… it seems I had to find my way through a fictional game, it’s all about the meaning behind it. I can’t wait for Skyward Sword to come out, I’m pretty sure its going to be a great experience. When I begin to feel the experience as something bigger than just a videogame that is when I feel the need to be thankful. I’d like to give my thanks to Shigeru Miyamoto and all of Nintendo staff for all the great games that they make for us. Playing your games helped me get through a lot before. I hope it will help others in the future. Now I’d like to know about you. 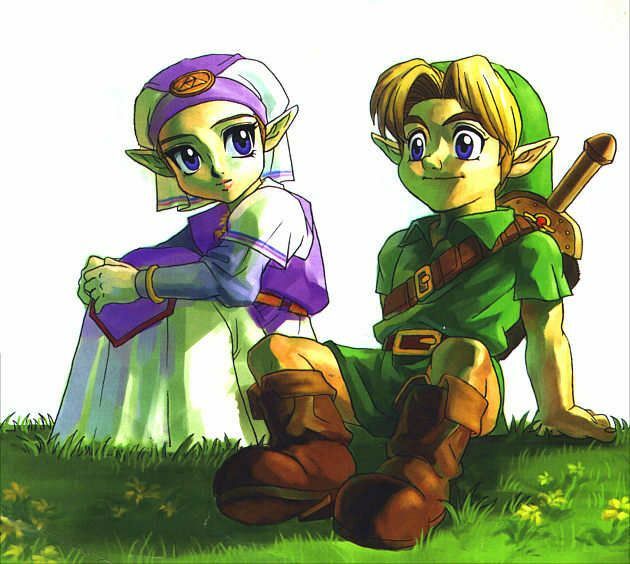 What does The Legend Of Zelda mean to you? Is it just for the fun of playing? The story? Everyone sees things differently, that is why I find it interesting to see how you guys think. So please, feel free to share your thoughts.